Another great novel in the Anita Sundstrom series. I love this book – couldn’t stop reading it other than when my eyes gave up. I can’t wait for the next one which is due through my letter box just after Easter. Following on from her successes in the previous two novels set in Malmo, Anita investigates the disappearance of an heir-hunter from the UK. The man she loves (but won’t admit to him) is still in prison for the murder in the first book but she still visits him on the pretext of getting to the bottom of the murder he committed in England but she is reluctant to do anything about it as he would be sent back to the UK; her ex-husband turns up looking for his young student girlfriend who he unofficially reports to Anita as missing so she has two missing people – one official and one unofficial and as we know Anita can be maverick sometimes. Her son is back with her in Malmo but he’s not in the best of spirits. Hakim is having trouble at home too – his sister is having arguments with their parents – this leads to some additional domestic intrigue when Hakim stays over at Anita’s whilst she is away working with a UK detective to try to track down the reasons why the heir hunter has been murdered – his body, missing a part of a limb, is washed-up in the Sound. To add insult to injury the body of the ex-husband’s missing girlfriend also gets washed-up in the Sound – she has been raped and her apartment is pristine almost professionally cleaned and only the ex-husband’s prints are found in some places where others there is nothing for forensics to discover. Nordlund and Westermark are working on the murdered girl whilst, as I said Anita is over in England, working with local CID and meeting the heir hunter’s widow and trying to piece things together from what was left over – strangely, however, she is the victim of a burglary around the time of the discovery of his body. This is a complex plot, the local detective has some baggage with a deputy chief constable whom they interview about the past crime – there was a diamond robbery some time ago which tracks back to the past and action in Australia where one of the culprits was killed by the main detective – the DCC, in fact, the closure of the case made his career. Whilst only one of the diamond heist gang is still alive in England, the other two have died but there is another twist – the hit-and-run of a local English guy. 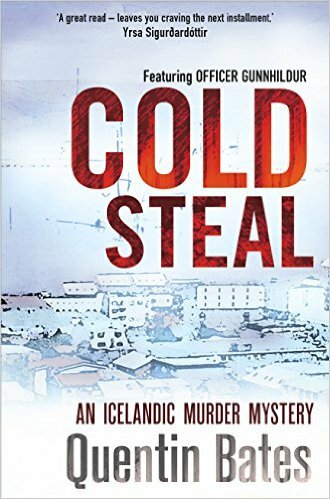 Anita’s ex-husband is then arrested and charged with the girl’s murder but Nordland is not happy with something and starts digging again but it leads to an unhappy conclusion. 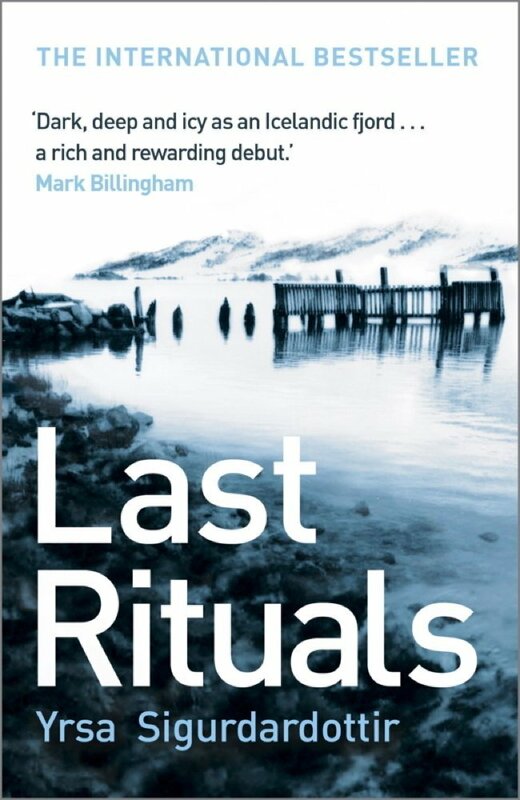 There is some personal and professional tragedy for Anita in this gripping novel but it does bring closure on both local and English fronts and an excellent climax. 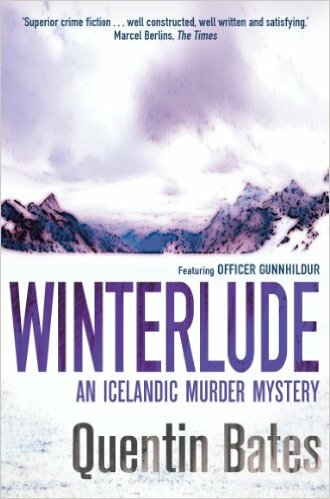 The culprits are found and in a gripping ending with Hakim finding the heir hunter’s murderers and Anita puts together what Nordland had found out and confront’s the real murderer. 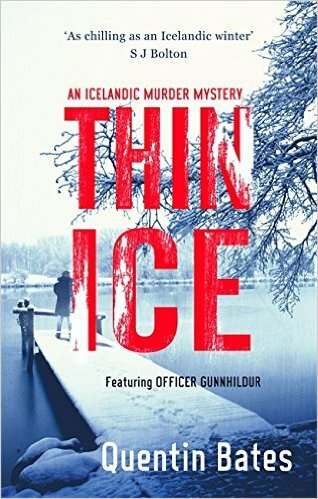 You’ll need to read it – I highly recommend this book to any fan of good police procedurals and or course nordic crime. I write this blog post with an overwhelming sense of loss! I have read every word written about Kurt Wallander and there is nothing more of him nor Henning Mankell although for those of you who follow the Nordic Noir genre they will live long in our collective psyches. 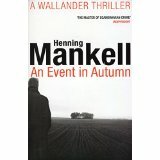 A classic Wallander story; conflict in himself; with Linda and the world. He wants to desperately live out his days in a more relaxed environment with his love of classical music away from the stress of policing and the city. 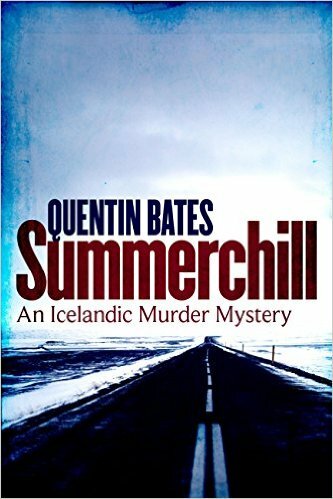 He takes the opportunity presented by Martinsson, to check out an idyllic place and in doing so he stumbles across a crime scene, in his attempt to find the place to live away from the city. This opens up the under-resourced cold-case investigation that his boss can’t support. He is lonely and has lost his father, he needs some love. I know how that feels – how the agonising relationship between a father and son can be until one day they are no longer there. His relationship with his ex-wife – there is no longer any contact although he has now rekindled the relationship with his daughter, now a budding police officer herself, after a period of separation. She is a good thing for him if he only realises it in time. I have felt a kindred spirit with Kurt for some time; I read ‘A Troubled Man’ recognising the signs of type II diabetes in the narrative! Time caught up with him too! One day I will find my children, again or them me, hopefully before it’s too late. This novella – a simple plot – wasn’t a difficult read, not that any of Henning’s Kurt books are; in fact for me returning to the pages of a Wallander thriller only at the weekend it felt like I was meeting a schoolboy friend with whom I’d not spent any time for years and yet it didn’t feel like we’d been apart for days at all. It’s Monday night in late November as I write this and ‘An Event in Autumn’ is set in the coldness of late autumn leading into winter in Ystad; snow one minute; then rain and slush! I hate this time of year – going to work in the dark and coming home in the dark! Kurt unravels things as he usually does, as most great detectives do, by noticing things in people and in places that aren’t quite right! He does the unspeakable and walks into the jaws of a trap without calling for back-up! It all works out in the end. You know I don’t do spoilers, but I expect most of you will have read this anyway but something in me needed to write this as most bloggers know! The melancholy of a Wallander and most critically for me is the afterword by HK himself a beautiful essay on the life he and Kurt shared! I admit to shedding a tear or maybe two. 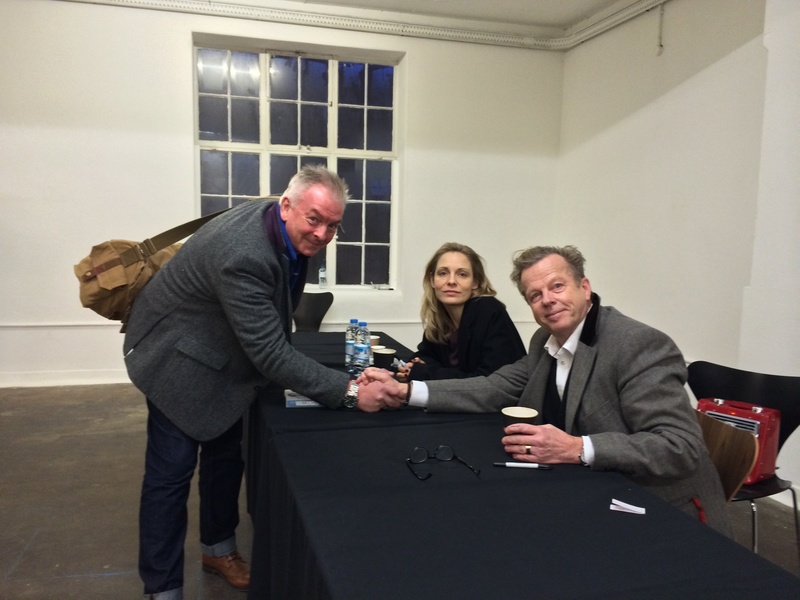 On a lighter note I have seen Lassgard; Branagh and Krister Henriksson play Kurt and was fortunate to meet Krister in 2014 at Nordicana. He will always be my Wallander! A wonderfully humble and gracious man overwhelmed by the excitement I showed in meeting him! May you rest in peace Henning! Thank you for the gift and legacy you gave us. I am still in fictional Finland and having finished the book, filled with the bitter-sweet emotions one gets – the sense of achievement conflicting with the loss of being with those people who have filled my imagination this last few days. We get even closer to Anna and Esko in this the sequel to The Hummingbird which I reviewed only recently. The crime threads aren’t connected so you can read them standalone I hasten to add. Without giving anything away this is full of personal emotion for Anna and leads us on to the next one without leaving loose crime threads. At some points I did wonder if Anna would herself unravel if we pulled too hard. On September 8, 2015 I was fortunate to be able to attend a book event at Blackwell’s in Portsmouth. Both Gunnar Staalesen and Kati Hiekkapleto were the star turns on a short tour on their way to Bloody Scotland. The local event had been arranged by Karen Sullivan (Orenda Books) and the MC was Quentin Bates (known on social media as ‘GreyBeard;’ a local writer in his own right and also translator of note). Both authors answered questions about their work and also gave us the honour of reading small passages from their latest. 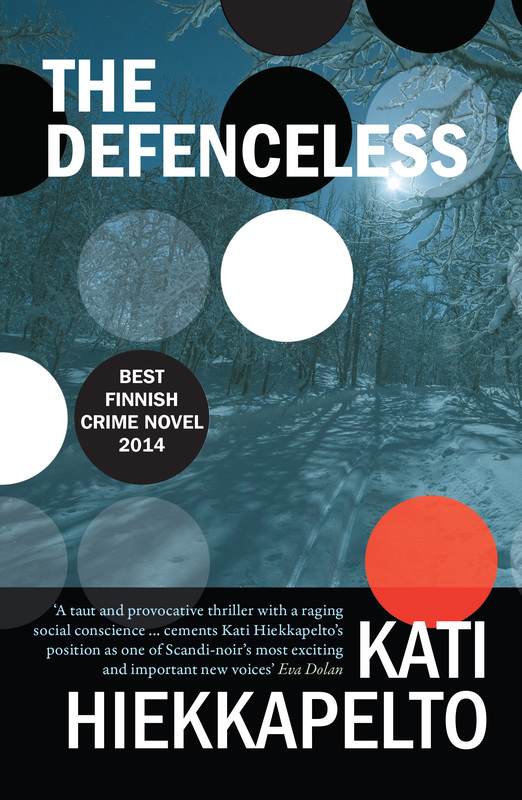 Kati read from The Defenceless where two girls go out into the forest to smoke purloined cigarettes and discover a crime scene. Afterwards a small group of us went for food in a local restaurant where I was able to enjoy the company of Kati and her lovely teenage daughter. She is a fan of fantasy in the written word citing ‘Lord of the Rings’ as one of her favourite books. I was also privileged to have both Kati’s books dedicated and also Gunnar’s We Shall Inherit the Wind. Anyway, I had started to read The Defenceless in earnest only that day having read a few chapters before going back to read The Hummingbird to get the back-story on our key players e.g. Anna, Esko and rest of the violent crimes unit. I had only literally finished Anna 1 the evening before and written the review you will find on previously on this blog. We start this story from the perspective of a character called Sammy, who is with us throughout the story, and his escape from his homeland from persecution and death on his journey to Finland. As we rejoin Anna and her colleagues, the plot forks off into a number of threads; the investigation of a road traffic accident where a Hungarian girl has apparently run over and killed an old man – who is miles from home; two girls that find a blood-stained crime scene have decided to report it to the police so we now have three strands and two crimes at the beginning of a complex and twisting plot. Anna, now a senior constable, and Sari are working on these threads. Anna’s brother isn’t helping but she manages to clear the way for him in his fight against booze and he ceases to be as much of a distraction for her. Although the Hungarian girl begins to irritate both Anna and the reader – well she did me – cropping up at the wrong moment on occasions. Then a neighbour of the apparent road accident victim disappears; a drug dealer is found dead with serious injuries in his flat in the same building. The links between these new investigations, Sammy our refugee and the conflict between The Hells Angels and The Black Cobras gangs builds this into a taut and complex plot. This gives Esko, working alone something to focus on as well as dealing with his boozing and smoking and their effects on his fitness and general health. But as they say every dog has his day – Esko gets some kudos in this novel after all he is a long-serving and good ‘copper’ even though he is a stereotypical racist. 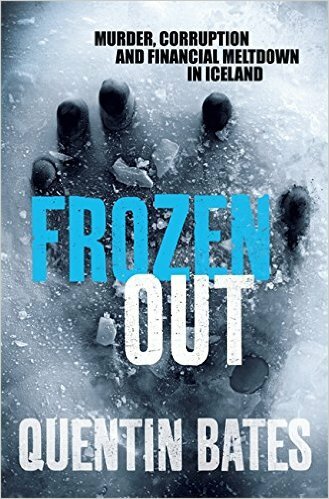 Written from the perspective of a number of the characters; Sammy, Esko and of course Anna the pace of this novel is really good. The swap between their angles keeps the pace moving nicely as a small clue will be dropped and then you are inspired to read-on to find out what happens next. Anna’s life is as usual the main thread running through this and last, with her family issues coming to a head again in this one. In addition to the crimes and Anna’s life, we are given a microscope on the plight of an individual refugee. How they are prepared to live in desperate circumstances as opposed to being captured and killed in their own country for religious reasons as in this case or because their country was at war and they wanted to escape the horrors. It also looks at how intelligent, law abiding people are sometimes prepared to cross the line when it comes to helping others. I love this book as I did the previous instalment. It is better I would say but different in that it isn’t a police procedural although there is crime scene investigation, the unit meetings with their boss, the autopsy scenes and the detectives at their work but in this and the other book so far it is also about the people, the social condition and their lives. Kati brings into this the seasonal changes as Anna’s exercise regime changes from jogging to skiing. Even a glimpse into the female condition is something I understand now was threaded in for a good reason. Last but not least it is topical; it makes an important statement about what is happening in the world as I write – tens of thousands of misplaced human beings escaping from war and terror and religious fanaticism. Presenting an economic and political challenge for the leaders of both our countries and those of the wider EU community. I couldn’t possibly even start to explain the outcome of this book in a few words and anyway as you’ll now know if you read me that I don’t do SPOILERS but as I always say there are I hope enough TEASERS to inspire you to get this one and read it for yourself. We are definitely left with a reason to want to come back to Anna, I can’t wait for Anna 3. Humming with thrills and suspense…. It doesn’t look like my feet have touched the ground since my last blog; I now feel that I am writing from Finland….. I am, I hasten to add writing this off the back of being given a copy of The Defenceless by the same author courtesy of Orenda Books to review. I quickly determined that for my peace of mind I needed to go back to the beginning and read The Hummingbird before getting too involved in the plot of the sequel. I don’t regret it one bit! It’s a thrilling read and I hear the sequel is even better. I would counsel reading books in order. 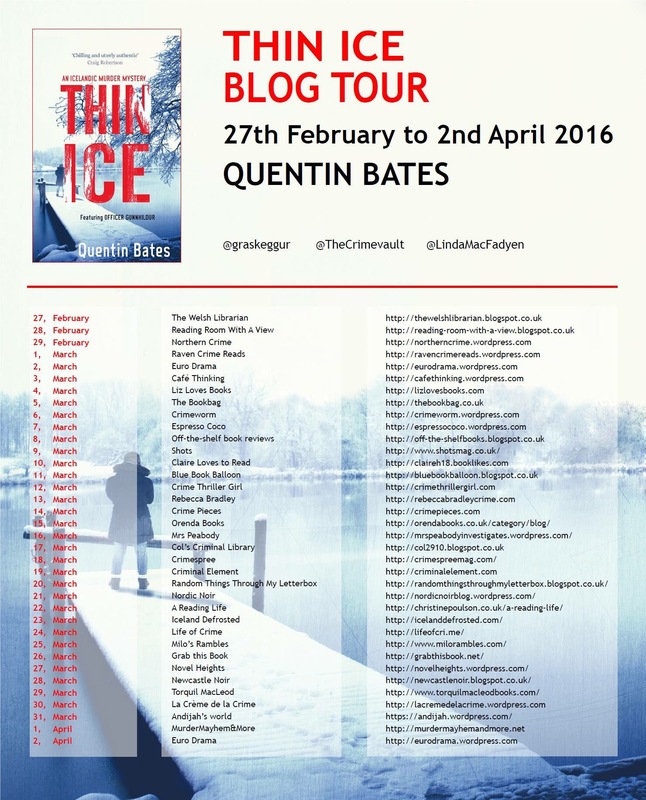 In Kati’s work I’ve met yet another character at the start of a set of Nordic crime thrillers in Anna Fekete. She has already got under my skin like a lot of my other police heroes and heroines. Anna, as we learn over time, is a Serbian-Hungarian immigrant who has lived in Finland since coming over with her family to escape the war in Yugoslavia. She is working at her first job as detective constable. She has returned to her adopted home town where her brother and their old friends live. 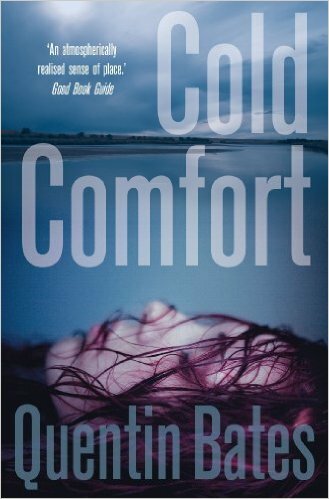 Instead of being tasked with the mundane she is plunged into a high-pressure environment in the violent crimes unit. The team starts investigating the murder of a jogger – shot beyond facial recognition on the forest paths in late summer. Anna not only has to deal with the investigation – she is also a habitual jogger now reluctant to go out so she resorts to the kind of exercise I subscribe to – a cigarette and a beer! Her brother isn’t helping her situation as he hasn’t acclimatised to Finland as well as she has. Her new colleagues are a mixed group too; a racially-bigoted, alcoholic and chain-smoking guy to whom she is assigned as partner – he is unkind and intolerant, a woman who keeps receiving anonymous and threatening text-messages – as does Anna, and the other male on the team who doesn’t like going home as his marriage is falling apart. There is a sub-plot which wraps around the main murder investigation about a muslim honour situation trigged by an emergency call from a teenage girl. Then, when another jogger is shot with a similar modus operandi it gives them a clue to the fact that a serial killer is on the loose. A love triangle is introduced into the plot amongst the suspects and hence a motive. Anna’s own promiscuity and morals are brought into question which contrast with the ‘above and beyond’ follow-up she demonstrates against orders on the honour case! It’s only when a third jogger is shot, do the pieces start to all come together in this gripping and exciting police procedural. This very well written narrative devotes valuable time to the cultural social and economic issues around migrants in Finland, paralleled I think today in a lot of EU countries; in fact as I was reading and am now writing the Syrian exodus is playing out across our European states and the politics is getting very interesting. 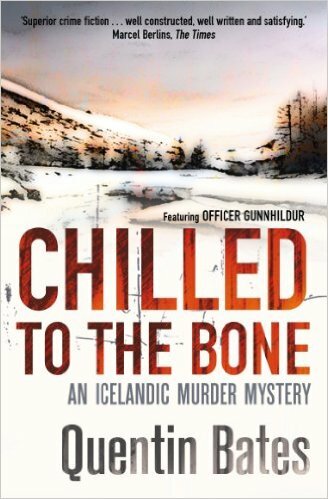 The other facet of this book that I very much like is that it reminds me of Arne Dahl’s A-Unit books, in how the narrative is seen from the perspective of some of the other key police players and not just from Anna’s side. I like multiple layers as it spreads the story and adds intrigue! I won’t tell but there is a thrilling twist when a not so obvious culprit is charged, but you’ll have to get the book and read it because I DONT do spoilers. I like to think I do TEASERS! By way of teaser I have the sequel The Defenceless and am already hooked. Later today I get to meet the writer. I hope she likes my review! Karen at Orenda Books for introducing me to Anna Fekete and of course…. It was my great pleasure and honour to meet Kati in Portsmouth at Blackwell‘s on September 8 with Orenda Books on a whistle-stop tour before Gunnar Staalesen and Kati Hiekkapelto wend their way to Bloody Scotland via a UK mini-tour. Thanks to all involved for a great evening! 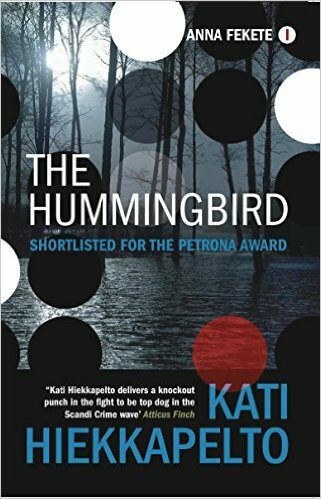 Author tonk5eyPosted on September 8, 2015 September 9, 2015 Categories CRIME, Hiekkapelto, NordicTags crime, Hiekkapelto, novelsLeave a comment on Humming with thrills and suspense….